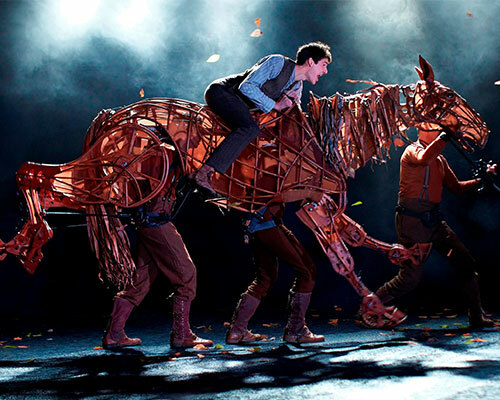 National Theatre's War Horse gallops on to stage at the Sunderland Empire this February. A perfect piece of pull-at-the-heartstrings puppetry theatre, says Elysia Agnew. This heartwarming play has everything. Love, friendship, hardship, betrayal and live puppetry. 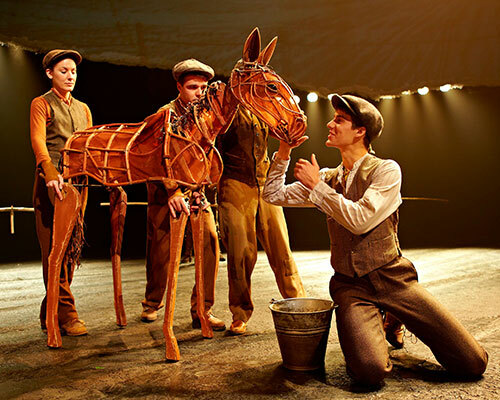 Celebrating 10 years on the stage, War Horse takes its inspiration from the book of the same name by Michael Morpurgo. 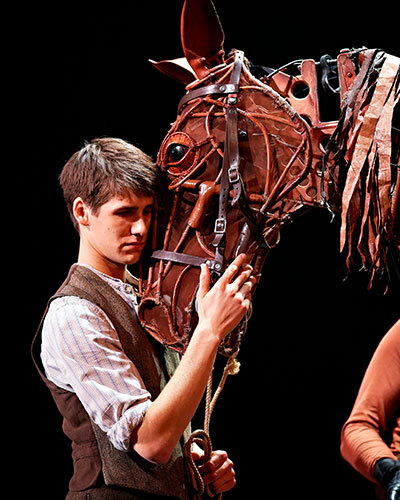 It’s a tale that will most certainly pull on the heartstrings – taking audiences on the testing journey of a boy and his steed. Joey arrives as a foal on young Albert’s family farm after his dad, Ted, purchases the horse at a local auction. A special bond is formed and the pair enjoy their days roaming the rural landscape. But the outbreak of World War One means Albert’s beloved Joey is sold to the cavalry, trotting off for duty on the front line in France. Caught up in enemy fire, fate takes him on an extraordinary journey, serving on both sides of the battle. At the thought of Joey stranded alone in no man’s land, Albert embarks on his own treacherous journey to the front line, with the hope of bringing his noble steed home to the Devonshire countryside. Will fate bring the pair back together? Or will this ‘War Horse’ become another fallen WW1 hero? Theatre heroes all round, but the life-size beasts are the real talking point here. South Africa’s Handspring Puppet Company bring the creatures to life – breathing, twitching and ‘neighing’ in perfect unison, perfectly embodying the animal’s characteristics; all the way from the auction pen and galloping through the Devonshire countryside, to charging through barbed-wire on no man’s land. The talented team behind both horses (Joey and Topthorn) allow us to connect with their characters as though they’re our own. Scott Miller takes on the role of Albert. The audience immediately falls in love with his character – following him from young farm boy, to foal trainer, to First World War fighter. Ben Cutler plays Lieutenant Nicholls, William Ilkley plays Author Narracott and Gareth Radcliffe plays Colonel Strauss, to name but a few. All of whom bring the realities of war to life. Special mention goes to Khalid Daley as David, Albert’s trench chum, who adds light and humour to the dark days on the front line. There’s no harm in a little giggle between tears, right? Ben Murray brings the whole play together as the Songperson – swiftly guiding us from one season to the next with his spine-tingling folk music. He sets the scene in each instance, telling the heart-touching tale through his tunes. A triumphant tale that will tug at the heartstrings – animal-lover or not. It’s a love story like nothing you’ve heard before. We get a good representation of the harsh realities of war on the Western Front, as well as the suffering back at home. But we also see a new side of the journey – the unsung cavalry troops – the horses – who also fought for our country. The puppetry is what really brings this production to life. From the foal in the opening scenes, to the immense, fully-grown steeds later on in the play, and the cheeky farmhouse geese that get a few chuckles throughout, we watch in awe. Once you’ve got your head around the fact that two or three bodies are manoeuvring these ‘mechanical masterpieces’, you can see and feel the emotion, you get to know the characteristics and before you know it, you feel connected. The simplistic but oh-so effective set is also worth mentioning. The cast double up as objects and landscapes, taking us from one scene to another with ease and without confusion. One minute we’re in the village square, the next we’re on the farm, and then seconds later we’re caught up in barbed-wire on the Somme. This triumphant tale will guide you through every emotion. You’ll cry, you’ll smile, you’ll sob – and surprisingly, you’ll even laugh a little. It’s a story we can all connect with. A story of love, loss and companionship. A story with a big heart. Everyone. Whether you’ve read the book, seen the film, or just want to check in for a bit of creative theatre, this is an absolute must! It’s a play that has it all – history, culture, comradeship, family values, love, determination – the lot. The puppets themselves are worth the visit – but the cast behind them are equally as remarkable. You’ll be blown away. Watch, smile and sob – then go home and hug your pets! This tug-at-the-heart-strings masterpiece is in town for just over two weeks. See it now, until Sunday 23 February 2019 at the Sunderland Empire.